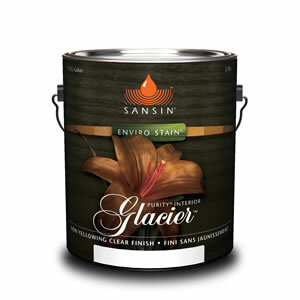 Sansin Purity Glacier: A crystal-clear finish for high-wear interior wood surfaces. 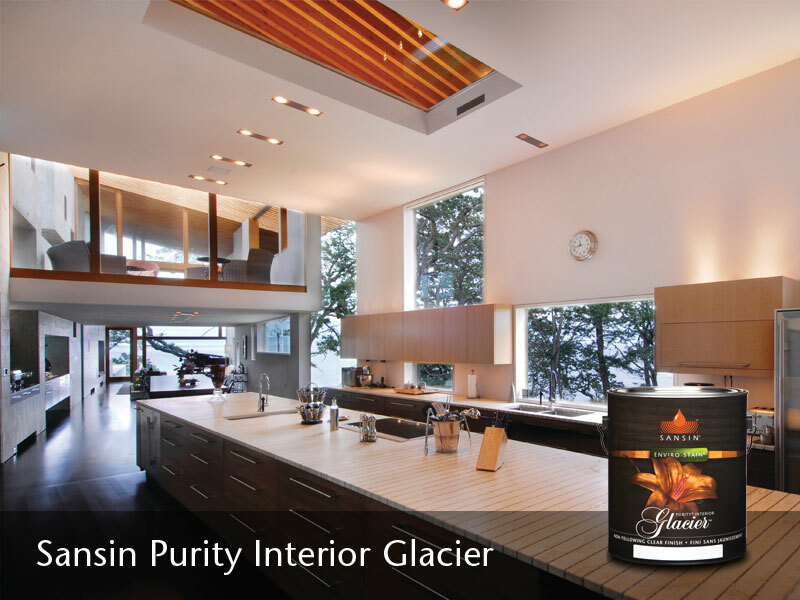 When you need a tough, non-ambering finish that offers exceptional beauty and clarity, choose Purity Glacier. Perfect for high-wear surfaces like cabinetry, shelves, doors, furniture and even floors, Glacier is available in both clear and solid formulas. 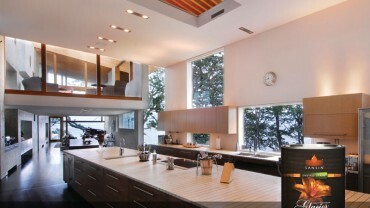 Purity Glacier provides a lacquer finish that meets and exceeds all KCMA benchmarks, defining the beauty of your wood and adding character and dimension. Purity Glacier is UV resistant, washable, environmentally friendly, low in VOC’s, high in solids and non-flammable with easy soap and water clean-up. Available in low lustre, satin and gloss finishes. For optimum UV protection or if a special color or toning is desired, use a pigmented version of Sansin Purity Interior Stain as the first application. View the Sansin Purity Glacier Product Data Sheet (PDF) for information about application, preparation, maintenance, and more. View the Sansin Purity Glacier Safety Data Sheet (PDF).